Elegant crown style Mezuzah cover. 2 tubes, 1 for the Mezuzah scroll and the 2nd for the shards of the Chupah cup. 5" High. Made in NY City. 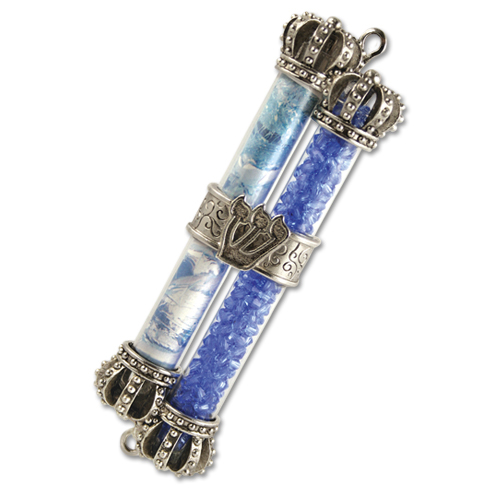 To purchase a Mezuzah scroll along with this cover see the item options.